Then first thing in Electrical testing is the Continuity Tester, Then we use the Neon Mains Screwdriver, Then we need an Voltmeter or an Ammeter. 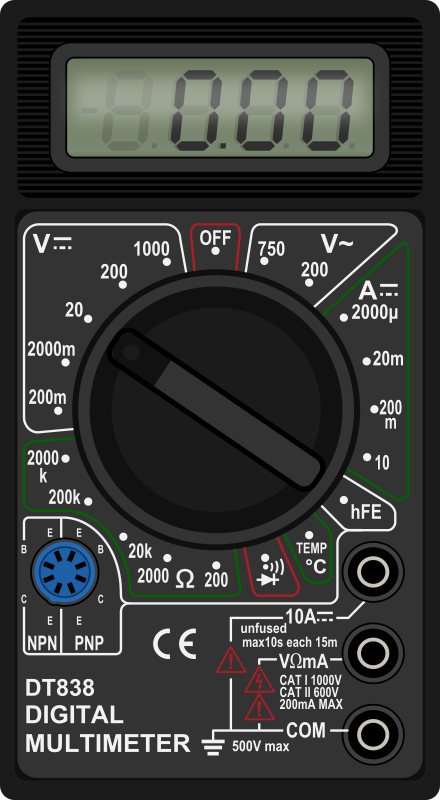 In electronics we need a OhmMeter and LCR meter too. Many times we cannot carry big or expensive test instruments to the field, so we have to have a troubleshooting tool kit. Continuity testers, Logic Probes, DMM, Clamp Meters etc.. It also is sometimes required to build a quick jig or fixture with electronics to troubleshoot, simulate a problem or to test the reliability or aging of components and systems. Here you need to be cost effective, fast and innovative; and build a simple system with available, affordable or procurable resources. Hence a bit of circuit design, firmware and software are essential skills for production engineering. You can troubleshoot and repair Electronic Equipment easily with Meters and Continuity Testers. 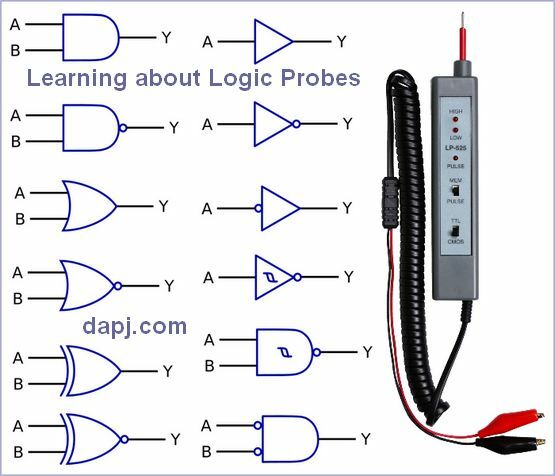 Digital Test and Measurement Starts with Logic Probe - Any point in a Digital Circuit can be High, Low, Float means TriState. The High Low in a 5V CMOS circuit is just 0V and 5V. In TTL and ECL it is much different. The Test Point could also be Pulsing or have analog values and waveforms, as in Mixed Signal Chips. Here are Logic Probe Circuits you can Build in your own Home Lab.